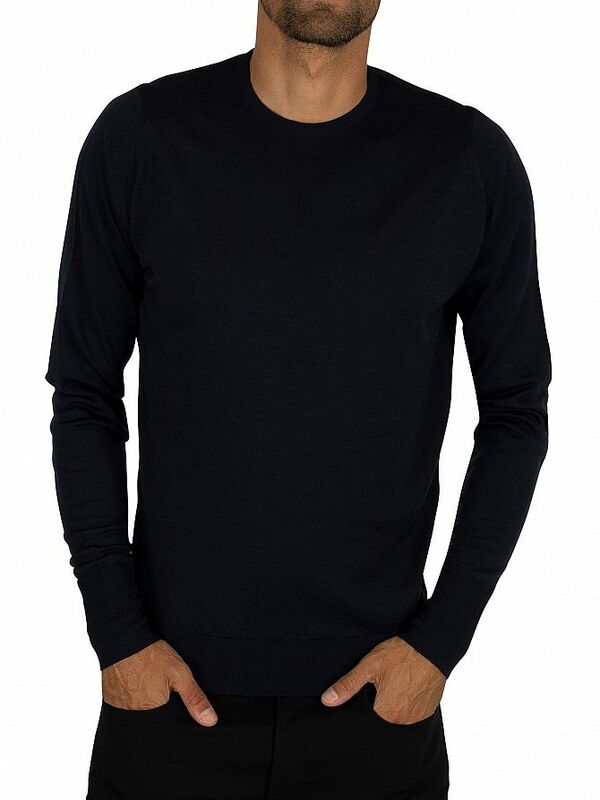 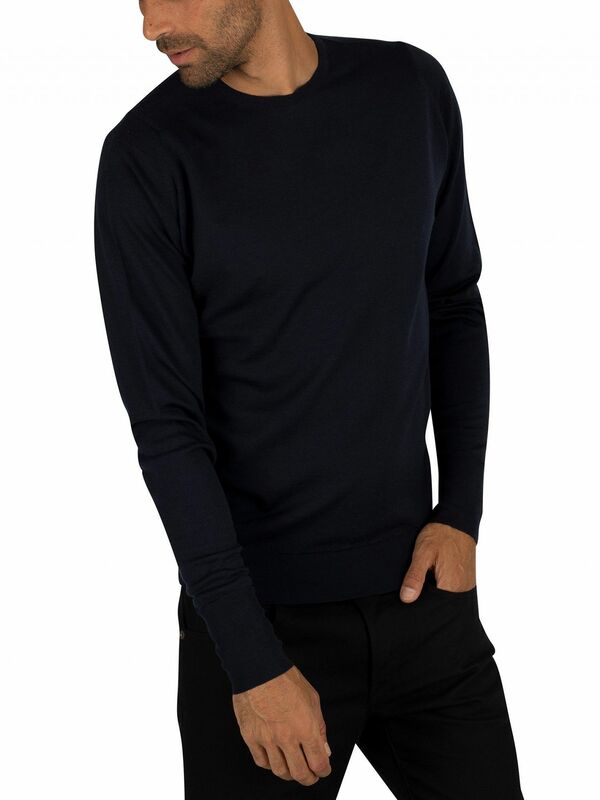 The Crew Neck Knit from John Smedley is offered in long sleeves with ribbed cuffs and hemline. 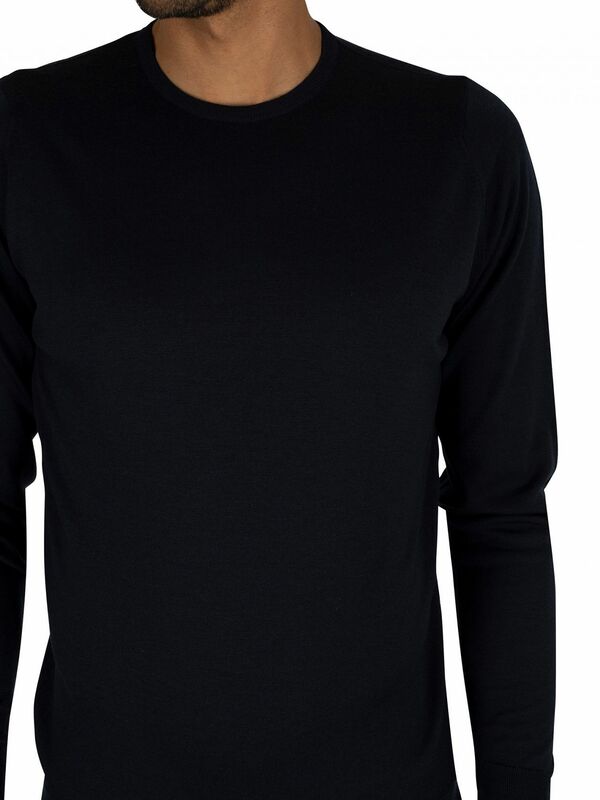 This Knit comes in midnight colour. 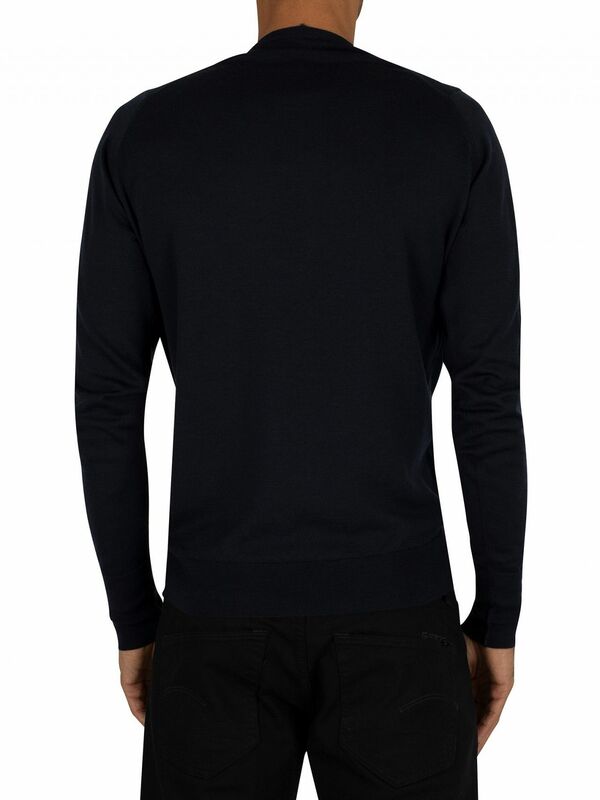 Made from merino extra fine wool, it features ribbed neckline and a brand label on the inner yoke.